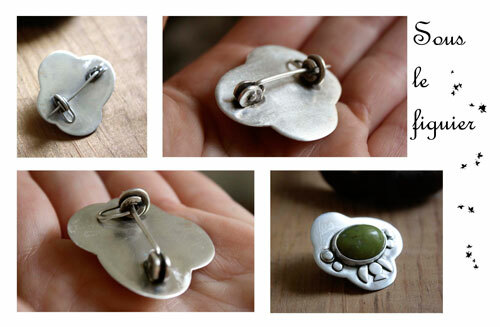 Under the fig tree is a sterling silver brooch with vegetal patterns. 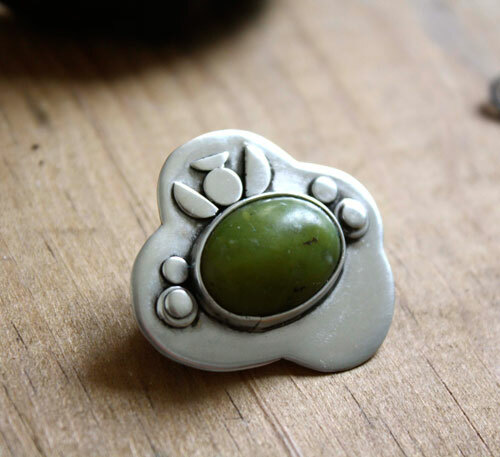 The stone is a beautiful olive green aventurine. 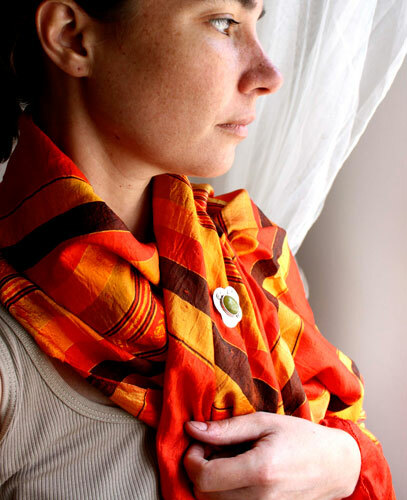 It is simple yet people will notice it on your most beautiful scarf. This brooch measures about 3.5 x 3 cm large. Polished, slightly oxidized and mat finish. The pin on the back is handmade by my and is really one of a kind. 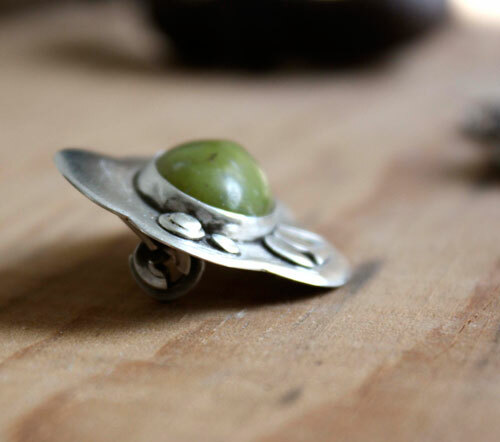 Tag: brooch, sterling silver, green, olive green, vegetal, floral, romantic, ecological, oxidized, gift, birthday, jewel, unique, summer, flora, circle, unusual, botanical, nature, fig, aventurine, leaf.